Technique master class on stage at the Teatro Nacional de Panama in Panama City. 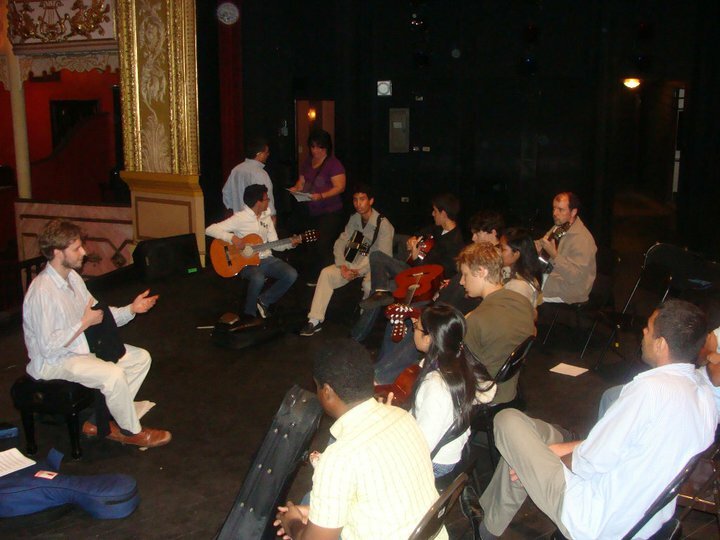 Michael’s students have included distinguished academics, teachers, and professionals of all levels of musical advancement. His younger students have gone on to study at some of the finest universities in the United States, including Yale University, the University of Pennsylvania, and Johns Hopkins University. He currently maintains a small studio of students around London, England. To enquire about studying, please be in touch via the Contact form available on this site.